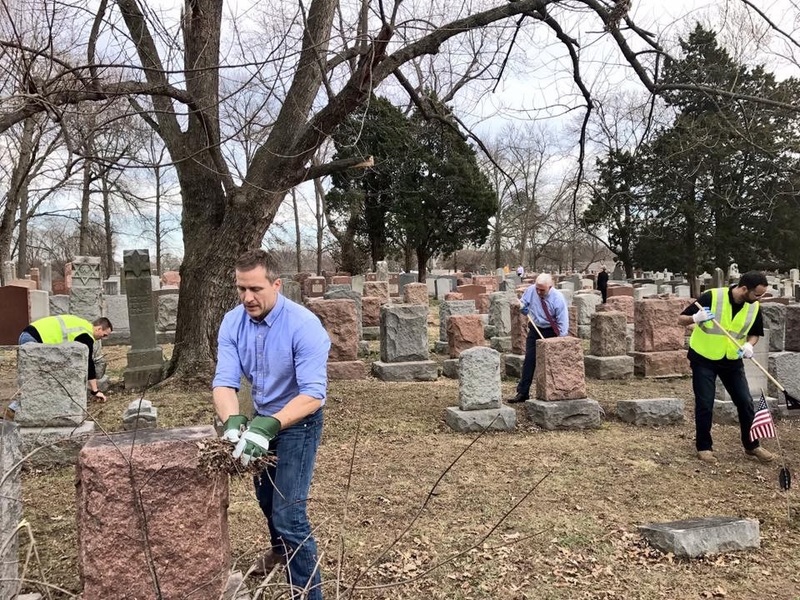 Missouri GOP Governor Eric Greitens and United States Vice President Mike Pence helped clean up a Jewish cemetery in University City this afternoon. 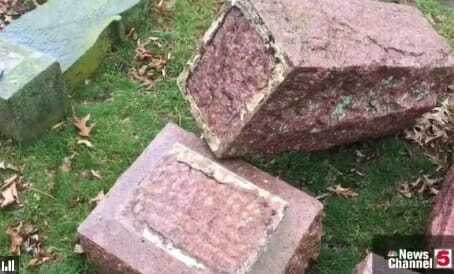 Vandals damaged dozens of headstones this week at the historic Jewish Cemetery north of St. Louis. Today hundreds of supporters joined Pence and Grietens to clean it up. 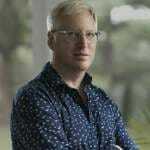 TGP contributor Adam Sharp attended the event today. 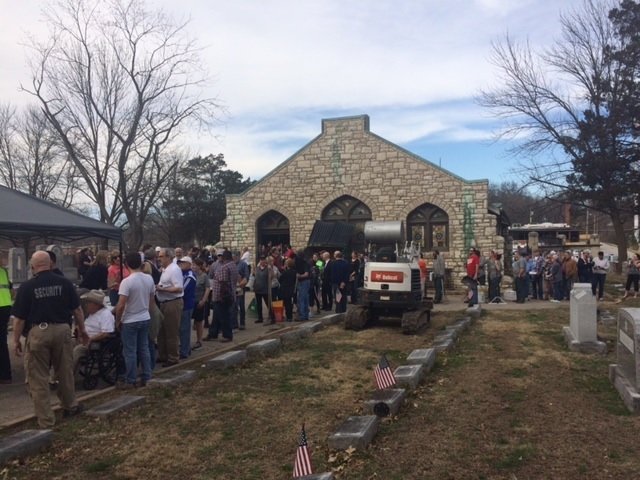 Mike Pence gave a speech to the hundreds of volunteers at the cemetery this afternoon. The vice president urged Americans to reject hatred, racism and anti-Semitism. Vice President Pence was given a yarmulke by a Jewish man at the cemetery for helping out.